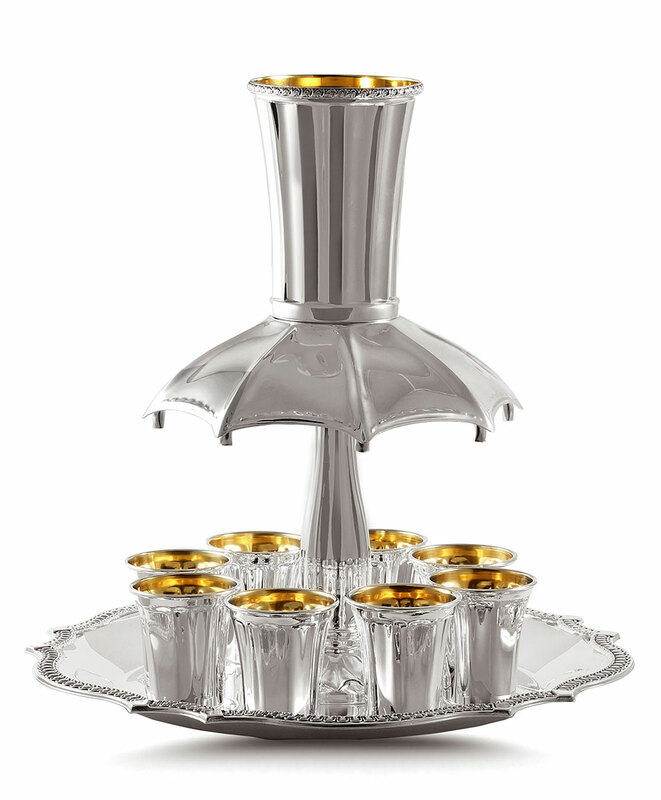 925 Sterling Silver Kiddush Fountain Set. A high polished set with a very elegant soft fluted pattern. All parts are 925 sterling silver. Set includes everything pictured, 8 little cups and 1 Kiddush cup and fountain body. Sterling silver is the preferred Jewish gift, just as in the past, silver items are preserved and handed down from generation to generation.